Wolkoff chills out with the twinkling synth pop number “New York Grand”. The project from dream team, Joanie Wolkoff and Icarus Moth, continues to shine with their latest “chill trap” effort. The whirlwind track starts off with grinding melodies soaking in J’s creamy vocals before picking up with sharp and precise synth jolts. The “Holy Mountain” inspired video shows Wolkoff shape shift into a number of personalities with the help of make-up artist Josh Quick, animator Patrick Kim and director (and sister) Zoe Wolkoff. Listen/Watch below. Posted on December 30, 2015 December 30, 2015 by shewolfradioTagged brooklyn, chill trap, chill wave, holy mountain, icarus moth, joanie wolkoff, josh quick, Music Videos, New Music, new york grand, patrick kim, shewolf radio, synth pop, wolkoff, zoe wolkoff. 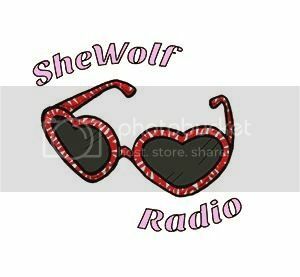 Next Next post: SheWolf Radio’s Best Tracks of 2015!